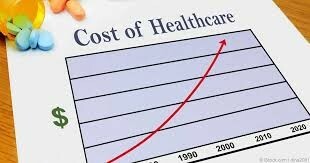 What is the true cost of Healthcare? and what does it entail? 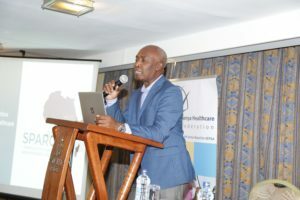 Amref Health Africa in partnership with Kenya Healthcare Federation (KHF) held a forum on cost of healthcare on 12th February 2019, at Sarova Pan-Afric Hotel. In order to unpack the areas where costs lie in healthcare, the following guiding questions were asked: What is the true cost of care? How can healthcare be made affordable to all? The forum was well attended by the private sector, civil society organizations, health regulatory bodies, insurance providers and representatives from the Ministry of Health. 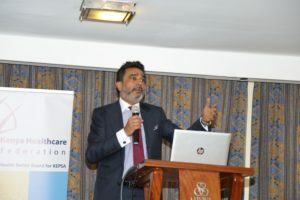 In his opening remarks, Dr. Amit N. Thakker, chairman, KHF, emphasized on the need for Universal Health Coverage (UHC) and its linkage to preventing catastrophic health expenses leading Kenyans into poverty. He encouraged frank and open dialogue on: commercialisation of medicine, remuneration of human resources for health, understanding public perceptions of cost in the private sector, specifically, the perception of providers (doctors and facilities), insurers and manufacturers and governance of practice. Mr. Nathaniel Otoo, Executive Director, Strategic Purchasing Africa Resource Centre (SPARC) reiterated that achieving UHC calls for the right capacity and collaboration between public and private sector to fill in the gaps. He took the forum through the Ghana UHC journey focusing on financing strategies. Ghana moved from passive to strategic purchasing with monitoring of quality, performance, and pricing. The National Health Insurance Scheme in Ghana moved from a price taker to a price setter. Along their journey they noted that private sector is not always a marker of efficiency. Mr. Otoo offered to support KHF in its move to tackle the cost of healthcare through capacity building in strategic purchasing, and improving of efficiency and quality of services.